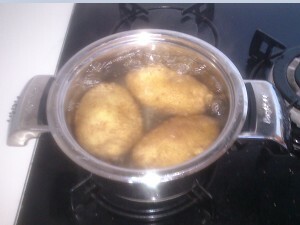 Wash potatoes and put them in water. 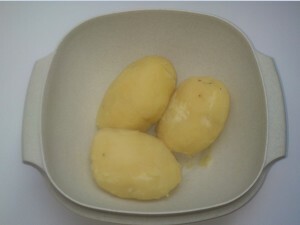 Put unpeeled potatos in the water, because there are a lot of nutrients in peels. 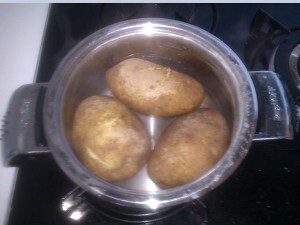 Leave potatoes to boil in half covered dish for about 30 minutes. 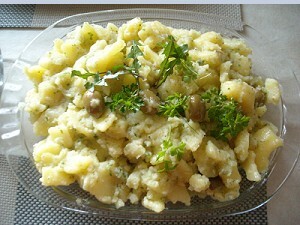 Use fork to check if potatoes are cooked enough. 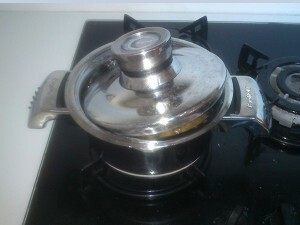 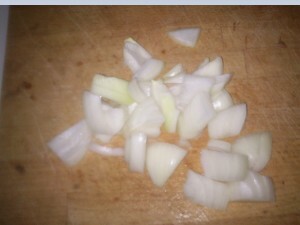 It is cooked, if you can go easily through the peel and potato. 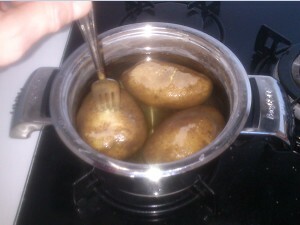 Turn the heat off and leave potatoes to cool down. 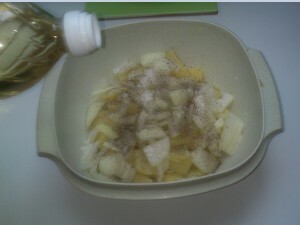 ...and put it in a dish with cut potatoes. 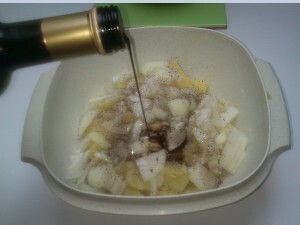 Add Oil, salt and pepper..
At the end you can decorate it with olives and any other vegetables you want.